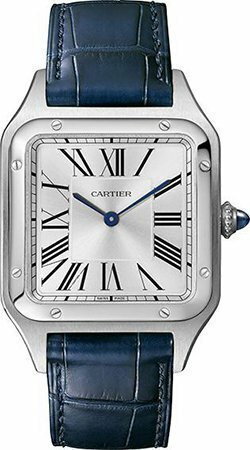 Cartier has effectively turned SIHH 2019 into a celebration and rejuvenation of their Santos line, first unveiling a new blue dial variation of the watch at the beginning of the month, and then following that up with a slew of other Santos models at this year’s SIHH, including a Santos Chronograph with a pusher at 9 o’clock, rather than pushers at the traditional 2 and 4 o’clock positions. 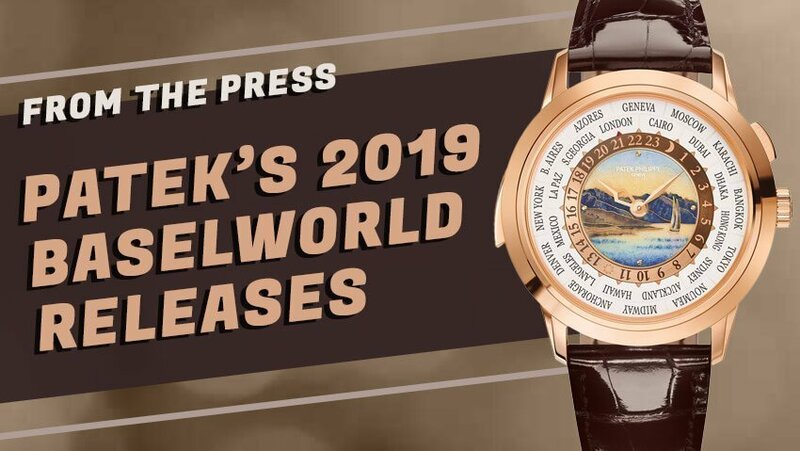 It is this new Santos Dumont, however, that has managed to start some important conversation, and for one reason – it’s a quartz, affordable dress piece from one of the most historically significant brands of all time, in the form of the model regarded as the world’s first wristwatch. 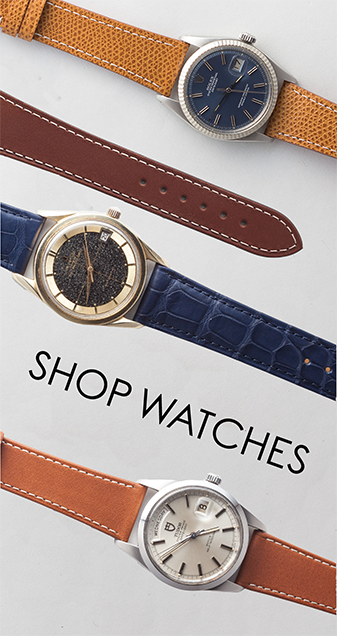 The new Santos Dumont model line is comprised of four pieces. Two of them are in steel, one is in steel and pink gold, and the other is in all pink gold. 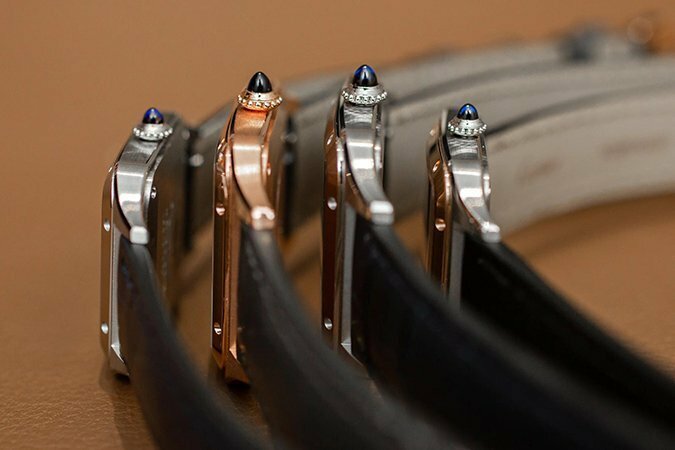 These models are equally divided in the size category – two of them (one all steel and the all pink gold) exist in what Cartier is calling the Large Size (31.4mm in diameter), while the other two (the two tone and the other steel variant) exist in the Small Size (27.5mm in diameter). No matter the diameter, the case thickness is a mere 7mm. 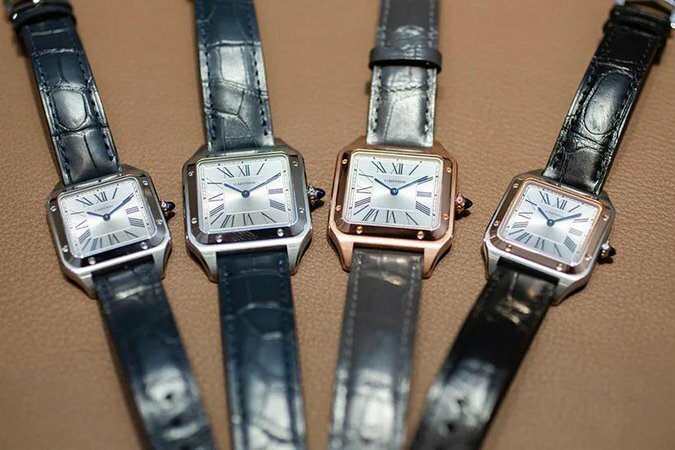 All four variations come mounted exclusively on alligator leather straps, and are powered by an in-house quartz movement. This movement, as of this writing, has not been given an official caliber name by Cartier, but displays only the hours and minutes, and has been dubbed a “high autonomy” movement by Cartier. 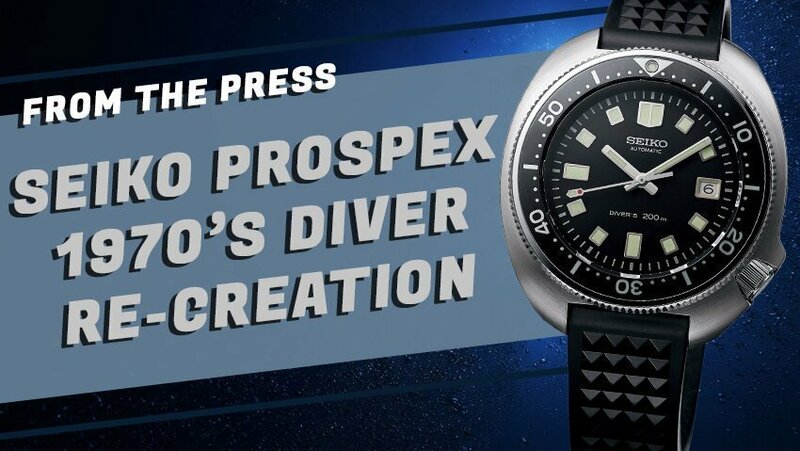 The movement is slated to have a 6 year battery life because of this higher level of efficiency. The use of quartz also contributes to the new Santos Dumont’s more accessible price point.